Tripwire Interactive has announced Killing Floor: Double Feature that is loaded with Killing Floor: Incursion, Killing Floor 2, and Bonus Mrs. Foster Playable Character DLC. Killing Floor: Double Feature includes the survival horror shooter Killing Floor 2 for PlayStation 4 and the VR survival horror shooter Killing Floor: Incursion for PlayStation VR. Killing Floor: Double Feature is developed and published digitally by Tripwire Interactive and is published physically exclusively for PlayStation 4 Pro, PlayStation 4, and PlayStation VR by Deep Silver. 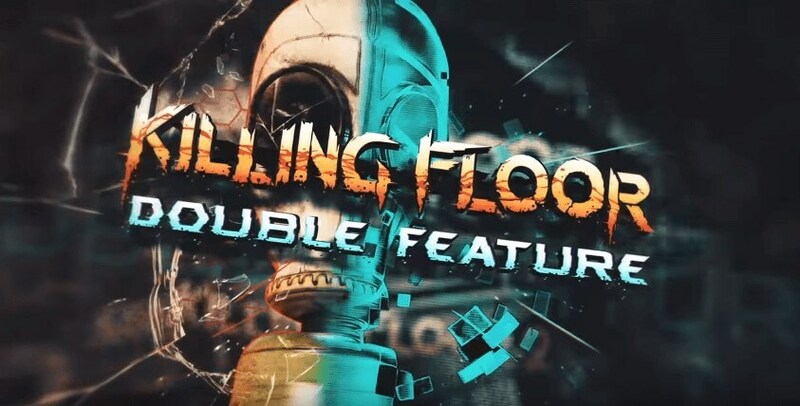 Killing Floor: Double Feature is set to release on May 21, 2019, and it will cost US $39.99 / £34.99 / €39.99. "Bundling the bloodiest and best chapters from the Killing Floor universe for one great price, Killing Floor: Double Feature comes packed with more gory content than you can shake a disembodied leg at, including the best-selling, co-op, survival horror shooter Killing Floor 2 for PlayStation® 4 and the haunting VR survival horror shooter Killing Floor: Incursion for PlayStation® VR. The retail version of Killing Floor: Double Feature will also come fully loaded with the fan-favorite Mrs. Foster Playable Character DLC from Killing Floor 2, along with all the Seasonal Content released since the game launched, making it the perfect entry point for newcomers to the series that continues to engage players with regular, high-quality updates. Together, Killing Floor 2 and Killing Floor: Incursion join forces for the first time ever to bring players the most complete and immersive Killing Floor experience exclusively to on the PlayStation®4 with Killing Floor: Double Feature."